Bad Boy, Bad Boy, What Ya Gonna Do? 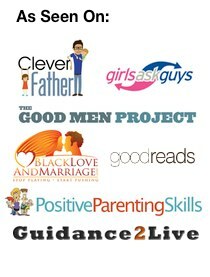 Woman the world over continually get duped by guys … bad Bad Boys. These assholes prey on ladies looking for all ‘their’ right things in a relationship. But the thing is, these women aren’t looking in the right places for the right type of guys. There’s lots of men who want much of the same excitement, the adventure, the sharing, the giving, the love and the life. 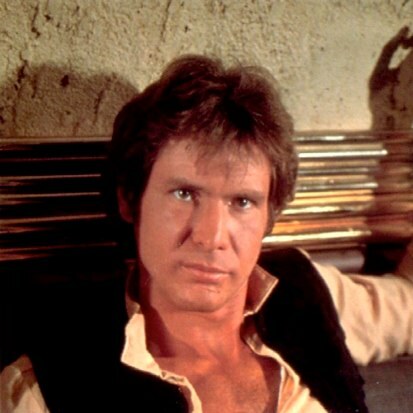 Let’s face it, Han has that gruff and dangerous charisma that the boys idolised and the girls swooned after. He just oozed sexuality where ever he was – that’s probably the first warning bell, for the ladies, that he can’t be trusted when there are other women around. Well, here’s your first clue – his regular hang-out involves consuming booze with other guys and the place has a smell of subtle danger. 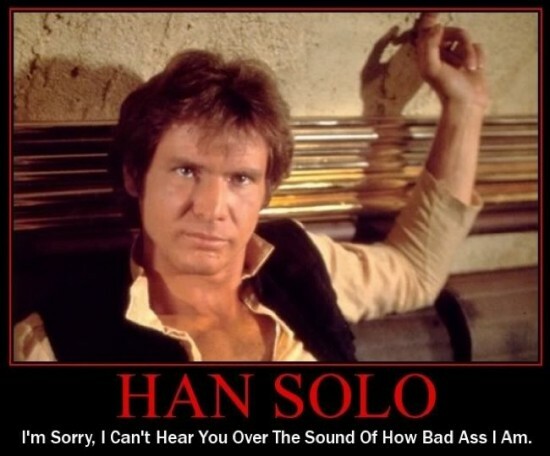 Han Solo must be an exciting man to be with, huh? His Priorities: They don’t include you. First of all, Han Solo sees you as a meal ticket. You represented another way to fund his lifestyle and for him getting from one day to the next. You’re viewed as simply cargo … just another bank account he can make a withdrawal from. His interest isn’t in knowing who you are but what you represent … to him. Funding. Notice he strings you along? You probably think he’s interested in you, don’t you? There’s a vast difference in a guy wanting to be with you for who you are and a guy wanting to be with you for what you have. Learning the difference will save your heart, in the long run. It’ll also save your bank balance, as well. The Bad Boy is a con-artist. He’s adept in spotting a woman who’s a strong mother figure. A woman looking for someone to look after and one who thinks she can nurture and change. There’s lots of women out there, just ready for a Bad Boy to step into their lives and ‘think’ these guys are lost souls in need of rescuing. The thrill of new adventures, spice and excitement is often difficult to resist for someone looking for that special someone to fill a void in their lives. No-one wants to settle for boredom, in life. Woman are no different. Get an adventurous guy and have some fun. And there’s a Bad Boy out there just waiting for you to cross his path. But don’t confuse a Bad Boy’s reckless lifestyle with a guy who’s got a combination of stability and a willingness to have an adventure WITH you. One is in it for himself while the other wants adventure to be shared with a wonderful woman. Much like females often complain that men are superficial by judging on looks alone, women are the same – probably because we’re all human beings. The best guys are more than skin deep – start understanding the same principle yourself and don’t be lured at the sight of Han Solo’s leather gun holster. The world watched the end of the original Star Wars, with much rejoicing – well, those of us who’ll admit it out loud did anyway. Han and Leia got their game on, finally. It remains to be seen though as to what happens to them once they leave the big parade and look to settle down, into normality. My bet is Han will sink back to his bad boy ways – he’s got far too much history of gun-totting and mixing with the wrong sorts. Ever been with a Bad Boy or even know someone who has? Do you think there are obvious warning signs so others can avoid them? What’s one bit of advice you'd give a lady who's hooked up with a Bad Boy? Yes thank you for wording this so well. Men and women alike complain about meeting “bad” boys or psycho girls, but rarely take responsibility for the fact they are looking for their right person in the blatantly wrong places, repeatedly. Definitely Mike and good comment too. Do spread the word of our message, my friend and thank you for your visit too. It’s a pity I haven’t watched Star Wars. But here’s how I see it generally. Usually women only get duped when they allow themselves to get duped. Very few women are really victims. The rest are just their own doing. First you have to know WHO you are. You need to have some values and principles. So as to know when they are being trampled on. Most of these guys that you call BBs leave warning signs all around. It’s a pity many ladies choose to ignore them or feel they can somehow bend these guys to their taste. Some are just terribly afraid to be alone without a man. It’s a great feeling to be in love but greater when you’re honestly loved back. Don’t allow fear of being alone make you settle for any man. If you are patient usually you’ll get the kind of man you’re looking for. Thanks so much for stopping by and making a comment, Karo. Would you agree though that an awful lot of people actually don’t even know their own values and principles, in the first place? That ‘bending to own taste’ is a mothering instinct in a lot of occasions – and it eventually turns out badly. Oh so get your final thought on being loved back and facing potential fear of being alone too – love it. Of course I agree. And it’s sad really; because if you don’t have some values and principles then you’ll fall for anything. It’s not always easy being a single lady but whatever the case remember your dignity is all you have. ‘Bad boys (BBs)’ is an interesting term… I don’t refer to ‘evil’ people as bad boys (e.g. ones who use people for your $$ or who are physically abusive etc). People like that I simply don’t have time for and if I suspect this is who they are I cut them off without a second thought. I find this easy to do when the core values are in conflict. As for BBs the way I define them – usually the alpha males who are extremely sure of themselve with ‘the rules don’t apply to me attitude’ – yes we’ve all fallen for them. They may simpley be at a stage where they are enjoying the party and you might be ready for a more serious relationship. Provided they are honest with you, that’s on you. A lot of the time I think it’s all in the timing. I was with a BB 10 years ago and we went our separate ways but then a couple of years ago fate would have it that we crossed paths and the rest has been history. He’s still the same irresistible BB but over the party scene. I go out for drinks with the girls a lot more than he does with his boys. And we have 100% trust in our relationship. I’ve written much on women owning their rightful place as a fellow human being – mental, ability, sexual and social standing. The unfortunate part is most of these guys tend to pray on the weak minded or ones with a visible sign of lack of self worth. They rarely target strong women as they wouldn’t get their way. Totally fabulous you rediscovered an old flame who turned out perfect for you both – congrats, Angel and thanks so much for your sharing. lol well I admit to falling for so many bad boys in my youth, that it’s not funny. More than 6 in a row too. What’s weird is I simply didn’t see it coming despite all the warning signs you mention. Looking back now, I was really overcome by the good looks and that hint of danger or maybe it was the rough and ready demeanor they put out. It wasn’t until I went through all these terrible boyfriends that my girlfriends had to pull me aside with a really heavy hand. So grateful to them for that. Not sure about advice though. It was a tough time for me but. So glad you’re out of the BB trap now, Beth. Consider yourself a much strong and resilient woman now who can do much more with your life and know your value. Even knowing it was a tough time is an important lesson that you’ve learnt. Go Girl!